This is a 3rd generation re-design of an established and well-used website. 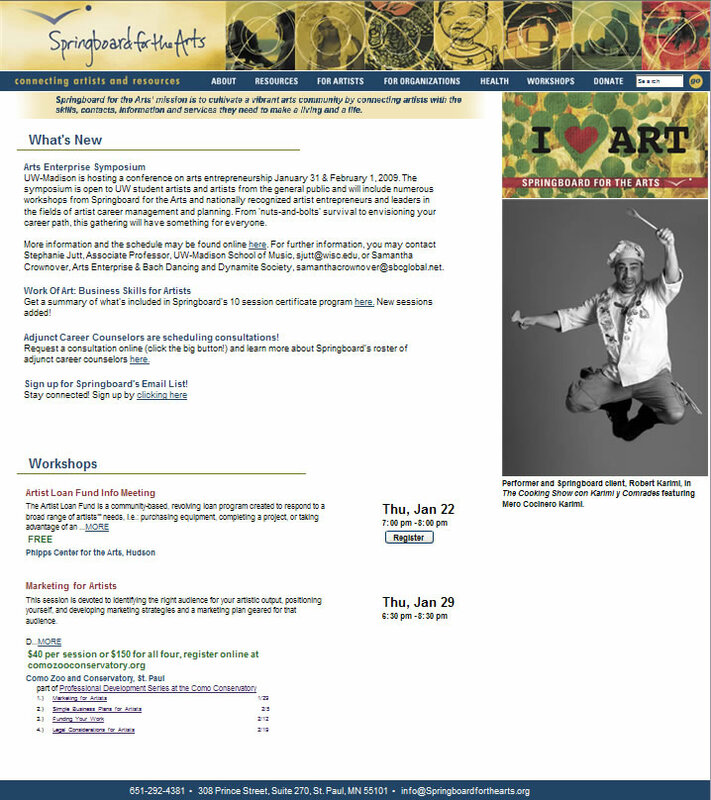 The previous site's pages had become heavy with lists of resources and services available to artists in MN. The purpose of the new site was to translate long scrolling pages into a searchable database. This database quickly evolved in to six inter-related databases that could be updated by both staff and Springboard's partners. Online workshop registration was also added, as was a rotating photo gallery of Springboard's clients' artwork. A master site search allows users to easily access 100's of workshops, jobs, organizations, classified ads, calls for auditions & residencies, grants and other arts resources with a few keystrokes.